After reviewing the final posts of the year, I discovered a common theme of opinion about Shakespeare’s writing. Many of you found his use of language difficult and therefore, “boring” or inaccessible. I would urge you to think about the implications of this school of thought. What will happen in your life if you shy away from anything that is the least bit challenging? Time and again you are told to challenge yourselves, so this is nothing new. I will say that the people we look up to and aspire to be like are all people who have challenged themselves. In your social and personal lives, the right decision is always the more difficult decision. College admissions boards are always on the lookout for students who challenge themselves academically. Employers provide promotions and corner offices to those who work the hardest and accept the biggest challenges. Avoid always taking the path of least resistance. You will never experience your full potential until you put yourself through some adversity. For many of you, this is the first time you have experienced the joy that is Shakespeare. I want you to write about two things for this week’s blog. Each one should be at least a five-sentence paragraph. You will also need to respond to a peer with constructive feedback by the end of the week. 1. Please give the world your honest opinion about Shakespeare thus far. After reading “The Taming of the Shrew,” what do you think of Shakespeare’s written style, and his plot devices? Knowing that the play was written between 1590 and 1594, (making it over 400 years old!) discuss why you think his work has stayed relevant for such a long time. If this is not your first time reading Shakespeare, talk about the first play you read or watched performed and how you remember responding. 2. Talk about Shakespeare’s use of concealed identity in “Taming of the Shrew.” Why do you think Shakespeare chose to include such rampant use of this device in his plays? What do you think it adds or takes away from the play? My “A” example is the first post. Please download the modernized version of _The Taming of the Shrew_ from my web page as we will be reading this starting next week. You will need a downloaded copy either on your electronic device (i-pod touch, computer, smart phone) or a printed copy (36 pgs). Certain moments in our lives cause us to change our minds or develop strong opinions about a subject. For example, you never were a supporter of our war efforts until a family member was deployed to Afghanistan. Your job is to describe something you have experienced which has caused you to change or strengthen your opinions about a subject. This doesn’t have to be super personal, but should be detailed. At the end, dedicate a paragraph to your connection to the novel’s theme. Post once and reply once by May 6th. April’s Monthly Big Idea: Are Schools Killing Creativity? Please see the video on the right by Sir Ken Robinson about what schools are doing to the creativity of young people. Before you watch the video, you’ll need to know a few of the key words he uses throughout his speech. Watch the video and respond to it. What did he say that you liked? Did you disagree with any of his ideas? When you think of your own education, what do teachers do that stifles, or encourages, your creativity? After reading last week’s posts, I wanted to take a moment and remind you all that this is an academic forum where everyone can see your writing. Please stay away from relaxed, abbreviated language that you might use in a next message or a Facebook wall post. The “Awesome Things” post showed more of this than any other. 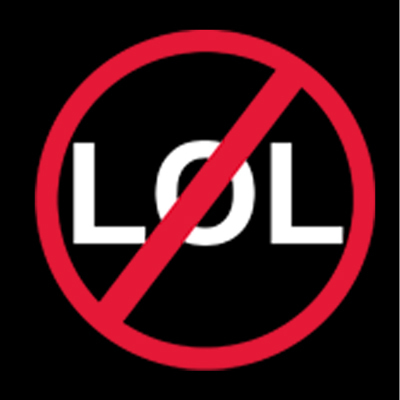 Those using this type of language on their posts (things like “hahahahaha,” “lol,” or using multiple exclamation marks) will receive a lower grade for content. Next, there are quite a few spelling and grammar errors that can easily be remedied by first typing your post into Microsoft Word or Pages and running a quick spelling and grammar check. Don’t be afraid to read your work out loud as well. After your post is perfect, copy and paste it into the comments box. Your work is public for all to see, and is a direct reflection of your intellect and attention to detail. In the real world, misspelled words and poor grammar in professional writing can cost your company money in reprints, or future business. Imagine an advertising company running an ad with a spelling error in a magazine . Your writing should go through revisions, be thorough, and be similar in style and length to the exemplar posts I write for you. Now that Chapter 1 is complete, there will be a quiz for understanding tomorrow. To help you review, I find this website to provide a good summary of Chapter 1. In addition, I have attached the following podcast so that you may gain access to the test questions for tomorrow. Best of luck and you’re welcome! 1000 Awesome Things < My suggestion would be to read 980 “Old Dangerous Playground Equipment” or 906 “Drinking a glass of cold water right after eating ice cream” for the inspiration and example. Your writing assignment for the week is to write about something you think is awesome. You will be graded on originality. I know you can come up with something other than Snow Days. Think of things you love and can write a lot about! I’ll start us off. For this week’s post, we are working on point of view. Select someone else living in the secret annex and create a diary entry for that person. Your entry should be a response to events happening in the play and how these events affect that person. Your post should be at least 7-10 sentences in length, and you’ll need a printed copy to share with the class on Friday. In addition to your post, reply to at least one other student’s diary entry with praise as well as constructive criticism. An exemplar “A” post and reply will be featured below. As we begin the dramatic version of “The Diary of Anne Frank” we will be discussing Anne’s personal belief that all people are essentially good. Think honestly for a moment about human nature. Is a belief in essential goodness too naive? Is a belief in essential goodness necessary to have a positive impact on other people? The first comment is an example of an “A” post. The reply to that comment is an example of an “A” reply. Please compare your post to the “A” example in order to turn in your best work. © 2019 Mr. Stewart's Period 3 and 4 LA. All rights reserved.